The forecast is sunny for Thursday, 3/28. Why is that important? That’s NY Yankee Opening Day at Yankee Stadium. WASA is putting an Opening Day package up for bid with bidding to begin at $200. The WASA NY Yankee Opening Day package includes: two tickets for opening day (vs. Baltimore Orioles), Section 129, $100 food gift cards, two fabulous Opening Day swag bags featuring Opening Day merchandise and one signed Mariano Rivera signed baseball – the only player to ever be voted in unanimously to the Baseball Hall of Fame. 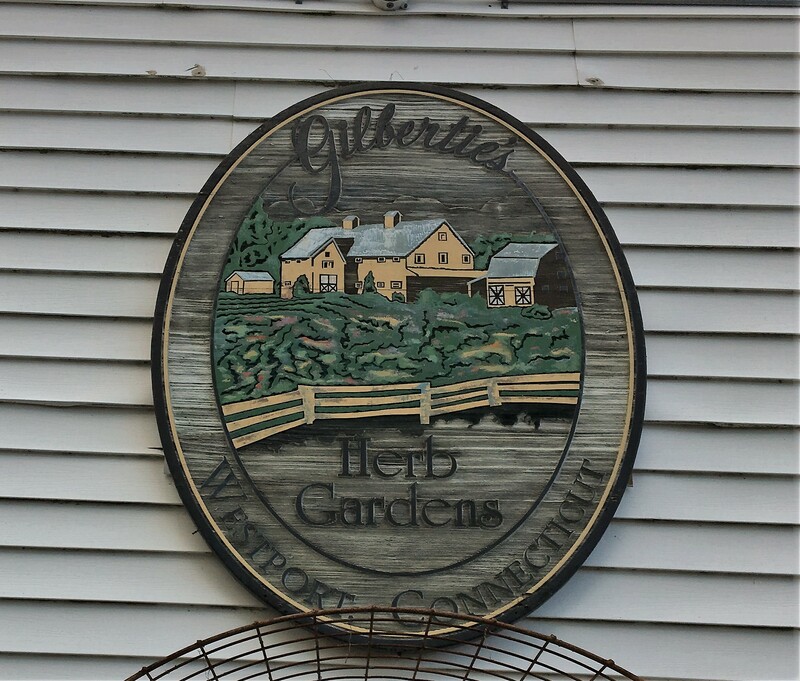 Bidding ends Wednesday, 3/27 at 2:00 p.m. Bids can be phoned in (203 557 0361) or by sending an email to wasa1@optonine.net. Increments are $50 and you will be notified if you have been outbid. No exchanges or refunds. Local bidders can pick up in Westport and out-of-town bidders can pick up tickets and merchandise at Yankee Stadium. 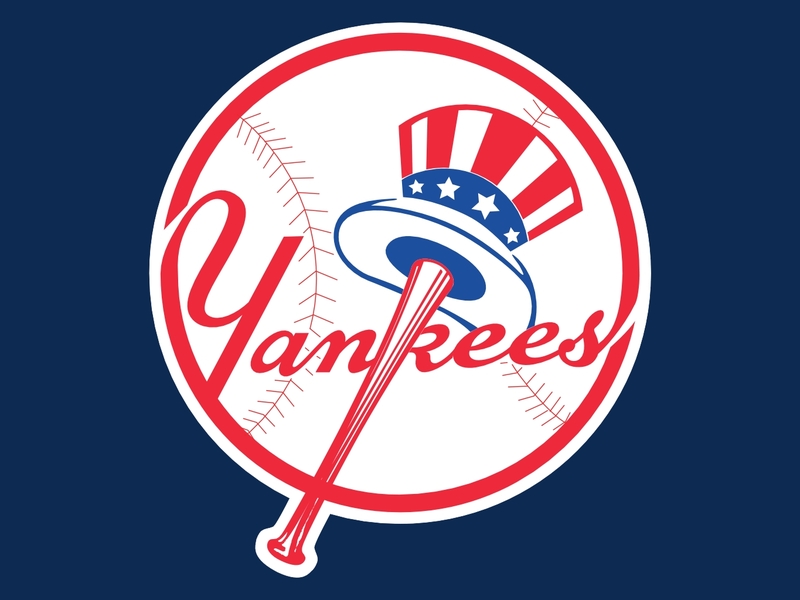 Come cheer on the Yankees as they take on the Orioles. Word is the season will start with many homeruns off the bats of the Bronx Bombers! 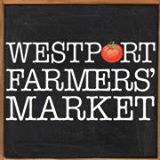 Support WASA in its mission to assist and advocate for homeless dogs in CT.
WASA will be at the Westport Farmers’ Market on Saturday, December 15! Special holiday give-aways with each donation while supplies last. Also, WASA will be selling beautiful, warm, hand-crafted, reversible dog coats. With lots of designs and sizes, you are sure to find the perfect coat for your dog(s) or to give to as a gift. Nothing touches one’s heart as a gift for your beloved pet! For additional information, please contact WASA at 203 557 0361 or send an email to WASA at wasa1@optonline.net. Please stop by this 2018 holiday season to drop a donation under the WASA Giving Tree. 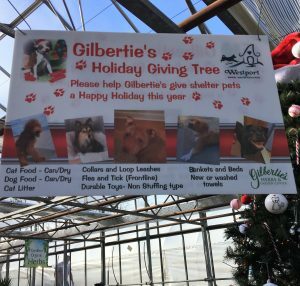 These donations will help WASA in its mission to help homeless dogs and struggling pet owners in CT! 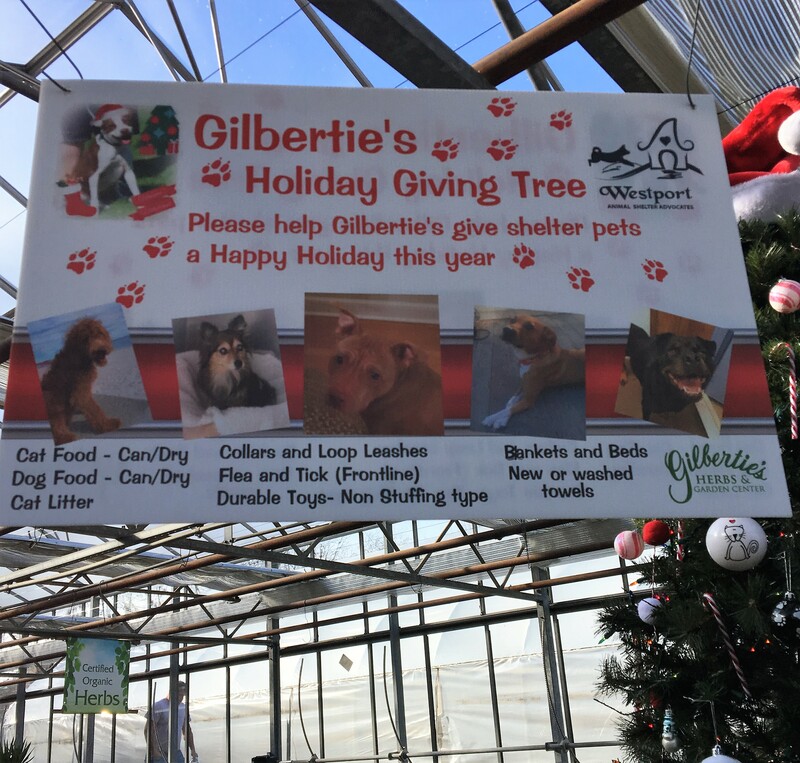 Items needed: Dog food (canned and dry), Cat food (canned and dry), Cat litter, durable toys, durable leashes and collars, Frontline flea and tick topicals – all sizes, dog beds. DUE TO THE WEATHER, WE ARE MOVING TO SUNDAY, 10/28, SAME TIME AND SAME LOCATION! Door prize drawing to include Michael Bagley pet photography package, NY Giants and NY Jets football tickets, including a special VIP Giants package for 12/16! Fabulous NY Yankees and Red Sox items too! 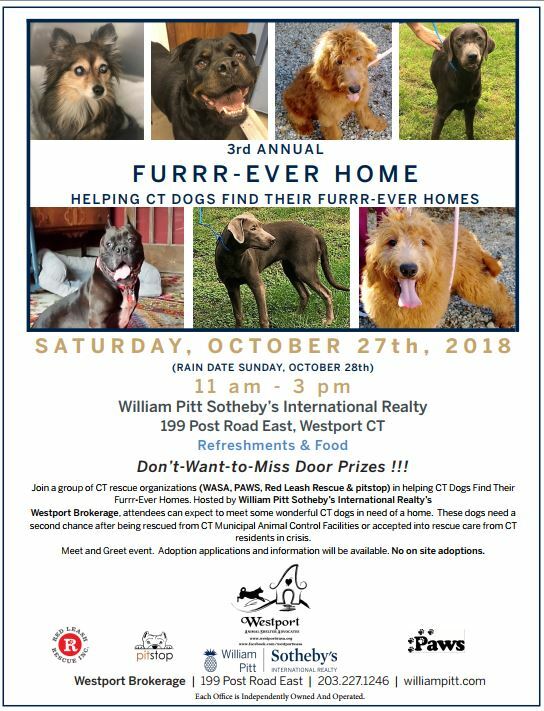 Don’t miss the Third Annual Furrr-Ever Home Event! For additional information, please contact WASA at 203 557 0361 or send an email to wasa1@optonline.net. 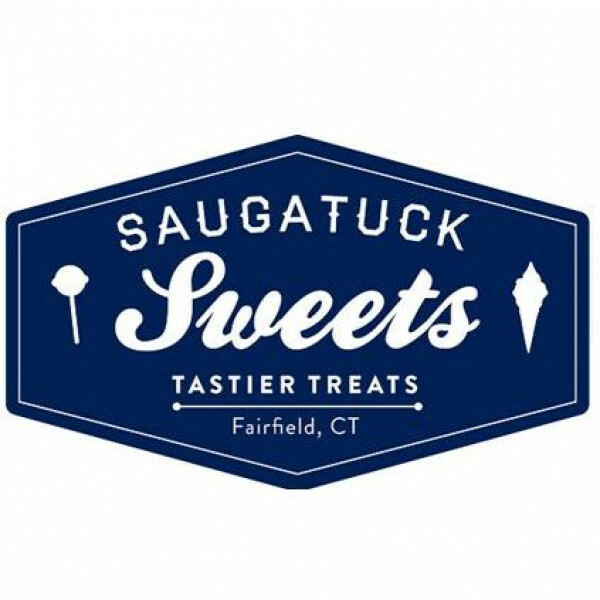 Stop by Saugatuck Sweets in Fairfield (28 Reef Road, Fairfield) tomorrow, Saturday, 9/15 from 11 a.m. to 2 p.m. to support WASA in its mission to help homeless dogs in CT.
Meet and learn about some grand dogs in need of their forever home. 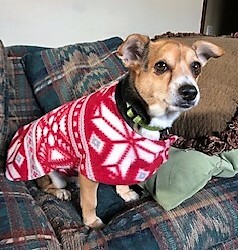 Make a donation to enter our fabulous door prize drawing and to receive a yummy ice cream cone for yourself or one of Saugatuck Sweets’ famous scrumptious doggie sundaes for your furry family member. 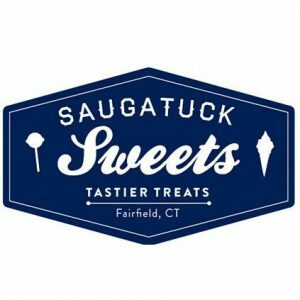 The door prize drawing will feature NY Yankee tickets, NY Yankee merchandise for the whole family, autographed Aaron Judge baseball and a coupon for a Saugatuck Sweets two scoop sundae every week for six months. Oh my! For additional information, please send an email to wasa1@optonline.net or call (203)557 0361. 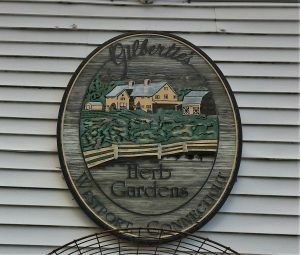 Sunday, May 27, 2018, 10 a.m. to 4 p.m. 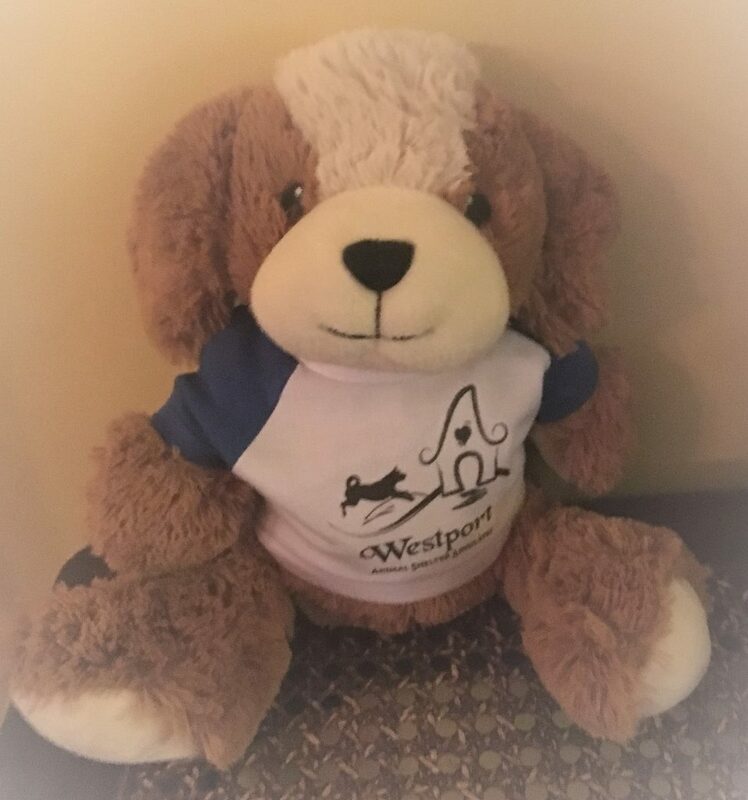 Please make sure to stop by the WASA table to say hello, learn how WASA is stepping up for Westport and CT dogs, take a peek at our fun giveaways/prizes and, of course, meet and learn about some wonderful dogs in need of their forever homes! For additional information, please call WASA at 203 557 0361 or send an email to wasa1@optonline.net. A SPECIAL CELEBRATION OF EARTH DAY. 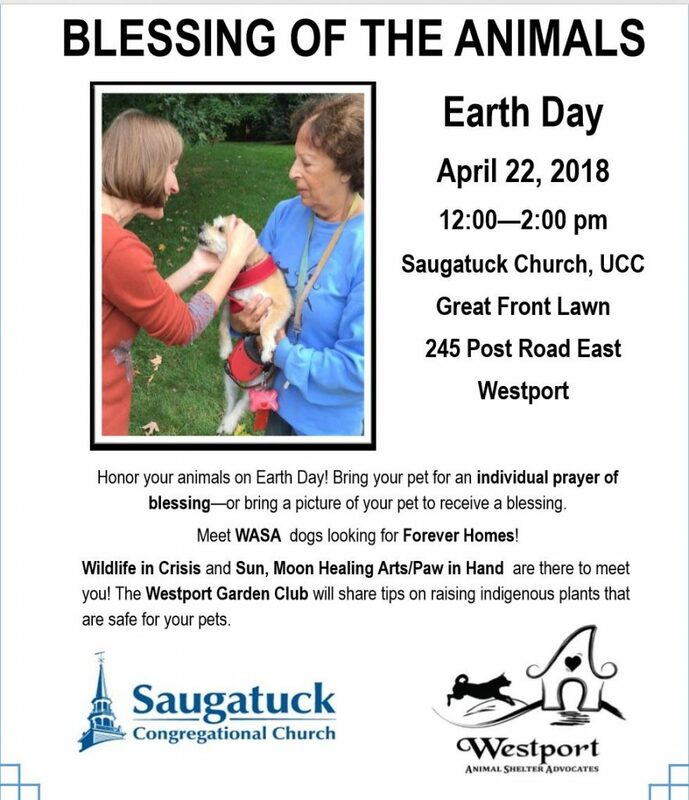 JOIN US FOR A BLESSING OF THE ANIMALS. Sunday, April 22, 2016, noon to 2 p.m.
Bring your pet for an individual prayer of blessing – or bring a picture of your pet to receive a blessing. 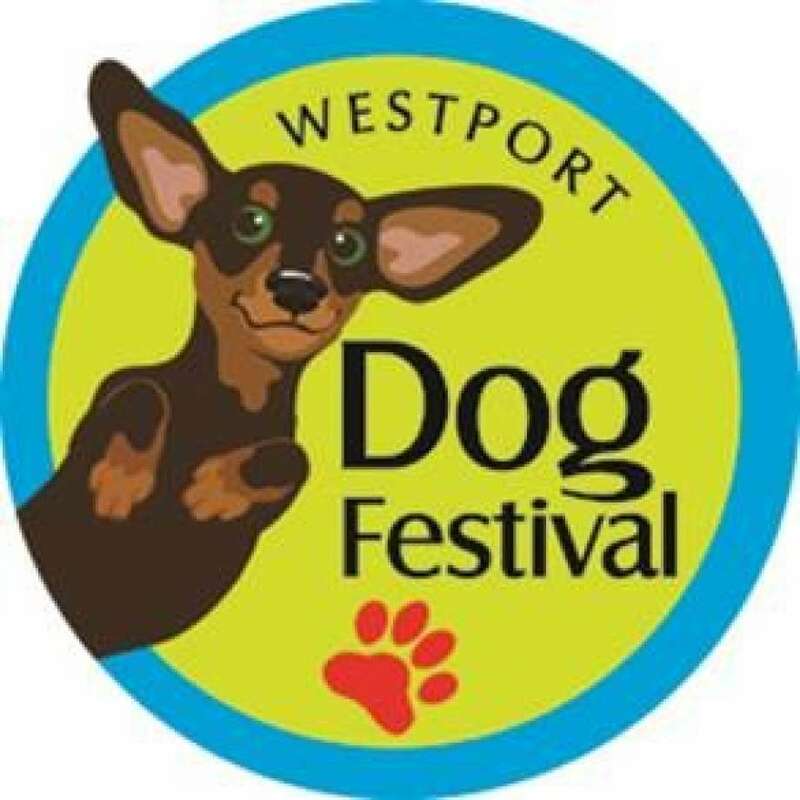 Representatives from Wildlife in Crisis, Sun/Moon Healing Arts/Paw in Hand Reiki and The Westport Garden Club will be there too! For additional questions, please contact WASA by calling 203 557 0361 or send an email to wasa1@optonline.net. Include your bid, name and contact information. Bidding ends on Sunday, April 1 at noon. You will be notified immediately via your preferred contact if you have been outbid. The Opening Day Package can be picked up in Westport or will be left at a designated spot for pick up on game day. Cash, check or credit card accepted. Any questions, please call WASA at 203 557 0361. Happy bidding! 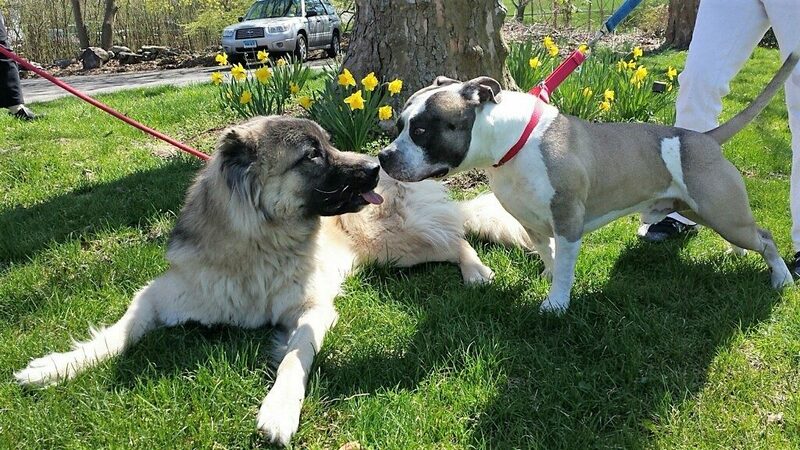 Help WASA in its mission to help homeless dogs in CT.